Jørn Utzon's buildings - both the large and famous, and the small and less well-known - with their brilliant simplicity and honest originality, are among the most exceptional masterpieces of twentieth-century architecture. 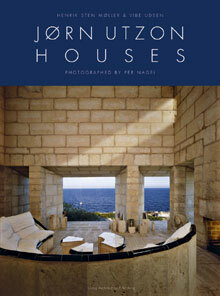 Living Architecture Publishing presents in JØRN UTZON HOUSES all of Utzon's best buildings in photographs of a quality that corresponds to the excellence of the architecture. The book contains more than 400 outstanding colour photographs taken by architecture photographer Per Nagel during the last twenty five years. The editor, architect M.A.A. Vibe Udsen, introduces each building, and architecture reviewer Henrik Sten Møller, who has discussed the substance of architecture with Jørn Utzon for many years, presents a portrait of the man and the architect - Jørn Utzon.